Tuzinowski Landscape Company was founded in 1995 by Steve Tuzinowski, focusing on design-build and landscape construction. Tuzinowski Landscape Company places its customers' satisfaction as its first priority. We provide complete custom-designed landscapes with attention to detail by offering the highest quality material and services. Steve Tuzinowski oversees all landscape projects from beginning to end, with a focus on finishing on time. Tuzinowski Landscape has evolved into an award winner in landscape design construction, and currently serves the southeastern Michigan area. 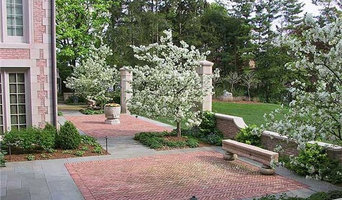 Tuzinowski provides all facets of landscape construction from design to implementation of all features - hardscapes, plantings, irrigation, drainage and grading, lighting to all aspects of horticultural maintenance. "For all your Lawn and Sprinkler needs!" The experts at Green Guru specialize in water conservation. We can reduce the long-term out of pocket expense for your landscape. We are committed to the mantra that efficient water use should be part of living in Michigan. Our goal is to institute this as a best practice for lawn sprinkler design, installation, maintenance, and repair. Our master technicians at Green Guru provide complete irrigation system repair and maintenance, which includes irrigation system water auditing. We can service all of Michigan with seasonal services such as a Spring Start-Up, Monthly Check-Up, and Seasonal Winterization to ensure your irrigation system is always in the best operating condition. We believe: - Small design and maintenance decisions add up to enormous water savings. - Over watering is the most common problem in landscapes. - Efficient use of water helps prevent waste, and lessens the effect of drought. - Water conservation is essential to lowering operational water costs. - Every drop of water counts. 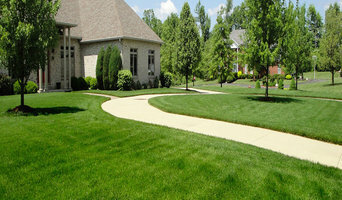 We offer highly personalized landscape and garden care. Our services include restoration and updating of tired landscapes based on client vision, need and desire. Our focus is on correct horticultural practices and we see to make organic and environmentally friendly methods our first choice. Serving The Community Since 1972 We welcome the opportunity to provide you with professional landscape and irrigation services for your home or business. 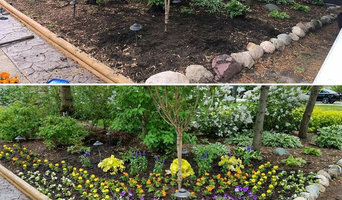 When you want to enhance the look of your yard, contact the lawn care specialists at A & R Lawn Care, Inc., the landscaping contractor of choice in Taylor, MI. We provide efficient yard and landscape design solutions ideal for properties of all shapes and sizes. In every job you assign to us, we make sure to accomplish all tasks on time and on budget. We are composed of a professional team who work closely with you and involve you in every planning and design process. Get a lawn that complements your lifestyle. From shrub trimming to patio design, we offer dependable lawn care solutions meant to bring out the beauty of any lawn. Consult with our lawn care specialists today and let us handle your lawn care and landscaping needs. Make us your partner in preserving the beauty and elegance of your property. Established in 1983 by 17 year old Michael Kowalski, Great Outdoors has been earning their flawless reputation since then. 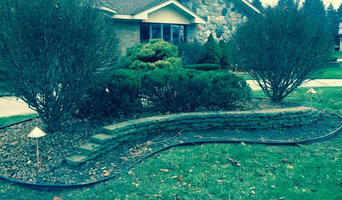 They service both residential and commercial clients, in a variety of landscaping and lawn care services. Their steadfast commitment to the satisfaction of their customers is what has helped them remain a local leading service provider for over three decades now. American Sprinkler & Landscape Inc. was established in 1986 with the focus of achieving a higher standard of quality and customer service than previously found in the industry. Over the years, we have evolved into a proven leader in our profession. We offer customers a complete and efficient line of irrigation products and pride ourselves on a thorough understanding of the words “service and accountability." We are a company you can trust. American Sprinkler employs true irrigation professionals who stand behind their quality work. Depending on the size and location of the irrigation installation, you may be eligible to upgrade to commercial-grade components, which come with extended warranties and service guarantees. American Sprinkler is familiar with every major irrigation product line. For the average homeowner or business, we usually recommend Hunter or Rainbird irrigation products. These systems provide years of efficient and trouble-free operation. At F.A.V. 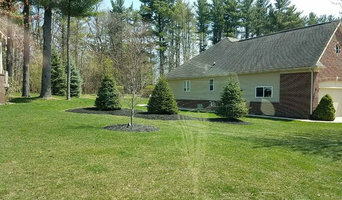 Landscaping Services, we’ve been caring for quality lawns like yours since 2007 but have over 20+ years of experience in the lawn service industry. We will only use the best quality products, guaranteeing results you will love. Our commitment and our experience will bring out the best in your lawn. F.A.V. Landscape Services has the knowledge and experience necessary for weekly scheduled lawn maintenance! När man ska anlägga en ny gräsmatta så bör man först och främst se till att underlaget är perfekt. Här kan det vara smart att ta hjälp av någon inom branschen. Att lägga gräsmatta kan nämligen te sig enklare än vad det är. Därefter är det viktigt att man får till ett effektivt bevattningssystem oavsett om man väljer självbevattning eller konstbevattning. Bevattning och sol är A och O när något ska växa och gro. Därefter kan man även kalka sin gräsmatta. Detta gör man för att behålla rätt PH-balas vilket är en förutsättning för en perfekt gräsmatta. Det är även alltid bra att göda samt jämna till sin gräsmatta mellan varven. Att kontakta en expert inom gräsmatta & bevattning i Detroit är med andra ord för många en bra idé. När man märker att ens gräsmatta inte mår något vidare gäller det att ta hand om den lite extra. I vissa fall är skadan för stor och man behöver renovera sin gräsmatta. Detta kan man göra genom att ta bort befintlig gräsmatta och ersätta med gräsrullar där det behövs. Tänk på att precis efter att man fixat till sin gräsmatta kräver den extra mycket kärlek. Vattna din gräsmatta i Detroit ofta, speciellt om du använt sig av färdiga gräsmattor.